Stamping In Living Color: More "Brown Sugar," Please! TGIF, all! 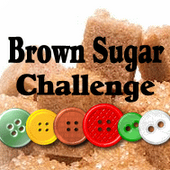 Today's entry is another submission for the "Brown Sugar Challenge" Blog. 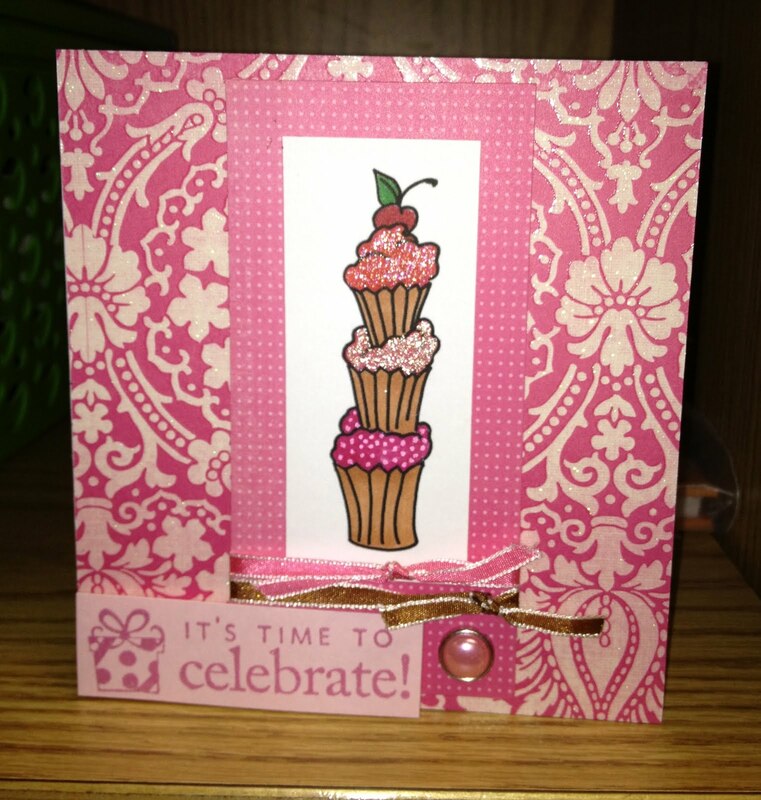 I couldn't resist the opportunity to work with this cute, cupcake image by 'Fresh Brewed Designs.' I picked this image because, like most dessert fans, I LOVE cupcakes!!! 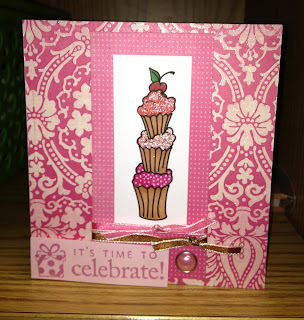 My recipe for this card includes patterned paper by DCWV, pearl brad by 'This & That,' and ribbon by Bazzill. I used Spectrum Noir markers to color the cupcakes, and glitter pens to add a little sparkle. To participate in the "Brown Sugar Challenge" and view great cards by my fellow, design team members, hustle on over to BSCB, now! your card is sooo pretty!! Nice work! !